← This Sunday — Race for the Cure! Watch for Street Closures. Do you need to replace your home’s furnace or AC unit? Get a 15% discount on high-efficiency models through November 1st! 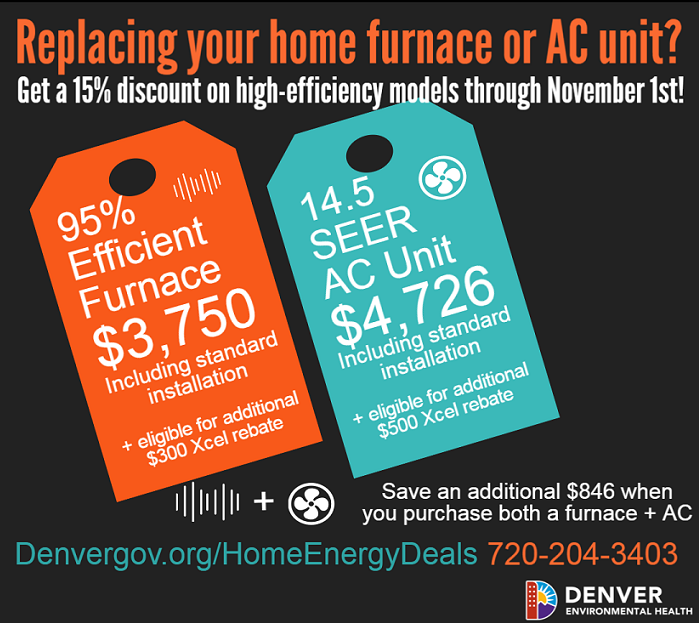 Denver Environmental Health and the Energy Efficiency Business Coalition launched a limited-time offer to make it easier and more affordable for Denver residents to upgrade to energy efficient furnaces and/or AC units. Take advantage of this offer to save money on equipment now and on energy bills for years to come! All pricing includes standard installation. o $662 has been discounted. Eligible for an additional $300 Xcel Energy rebate. o $834 has been discounted. Eligible for additional $500 Xcel Energy rebate. 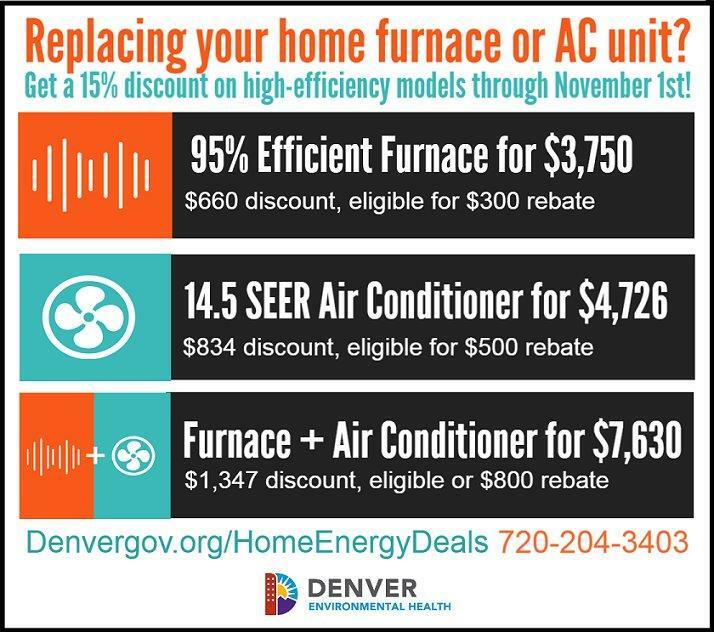 For more information and to participate, visit www.Denvergov.org/HomeEnergyDeals or call the Rheem Pro Partners directly at 720-204-3403.